Love Devotion Hell from author C.T. Andersen is a true-to-life opus that presents the woeful truth of the world’s fall to sin and how God showed his divine grace and brought salvation upon all. 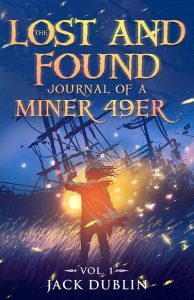 Andersen wants readers to believe in who they are, no matter what others say about them, even their own parents. We all want it. Few have it. Life is hectic, we have to run just to stand still. Does it have to be this way? In The Buddhist Within, we discover The Buddha´s life, his path to illumination and the art of finding more peace and serenity within yourself. Meditation, mindfulness, yoga and more. You don´t have to practice Buddhism but, you have to want to be free. Walk the path to freedom with Buddha today. Download The Buddhist Within to your phone, tablet, computer or Kindle today. This book is a comprehensive summary by Professor Dr. Walther Hinz based on lectures given by Joseph and Lene through the deep trance medium Beatrice Brunner during the years between 1950 and 1982. The text provides the key to a profound understanding of the New Testament for all who can approach the Bible with an unbiased attitude. It focuses attention on the chronological events in the life of Jesus. The text, which was published in serial form in “The Spiritual World” over a three year period, provides the key to a profound understanding of the New Testament for all who can approach the Bible with an unbiased attitude. It focuses attention on the chronological events in the life of Jesus in such a way as to bring to light perceptions long hidden in the obscurity created by a dogmatic ecclesiastic establishment. Science and religion have two seemingly opposing views of the universe’s biggest questions. But what if the real story told you they were both right? Vancouver, 2009. Physics engineer and CEO Daniel Friedmann loves solving problems. When the avid scientist dives deep into scripture, he’s faced with questions he feels compelled to answer: Is it possible to harmonize the scientific timeline for the development of the universe with the biblical timeline described in Genesis 1? How do the evolution of human history and prophecies surrounding the End of Days fit in? His quest for answers takes him and his nephew Seb on an incredible journey through the ages, discovering the lives and works of mystics, prophets, sages, philosophers, scientists and biblical commentators. -Does the six-day creation account actually link with science’s 13.8 billion-year timeline? – How do world history, Genesis, and the End of Days fit within the context of God’s Plan in heaven? – How can the appearance of life on Earth, as depicted by the fossil record, match the sequence and timing of life on Earth described in Genesis 1? – Do Genesis and the evolution of human history reveal the events and timing for the End of Days? – Are there texts predating modern science that describe the Big Bang and contain the scientifically calculated age of the universe? – And finally, is there a secret harmony resolving the creation-versus-evolution debate? The Biblical Clock is a fascinating and entertaining read, digging deep into the universe and solving its well-kept mysteries. 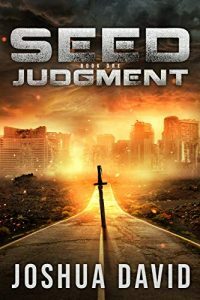 Seed is inspirational fiction like nothing you’ve ever experienced. No bonnets. No Bibles. Lots of bullets. Across the Vegas wastes, you’ll encounter futuristic warriors and supernatural romance, face-paced swordfights slashing through the cutting realism of a dystopian tomorrow, and tanks smashing demons when it’s time to get nasty – your protagonist’s favorite mode. Where, then, is the religious refreshment, the spiritual awakening, all the wholesome gooeyness we’ve come to expect from this genre? Buried deep in the literary layers, where they belong. In your face isn’t where tired tropes should be found. In Seed, the Gospels are on display only if you know where to look. Come along for the ride, if you dare something different. Let inspiration be gruesome and gory and beautiful. Accept a religious invitation that’s an action-packed blast. Find meaning percolating in the undertones and washing across classic structure instead of drowning the plot. It’s an adventure true seekers won’t soon forget. Get This Religion Book From Amazon. The Bible says that Jesus died on the cross and rose from the dead, but many people don’t know who or what to believe. Dr. John Morris, evangelist and ordained minister, has searched through a wealth of ancient and modern sources from outside the Bible and offers the proof in his inspirational book, Resurrected! 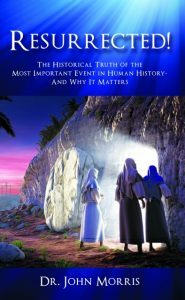 : The Historical Truth of the Most Important Event in Human History—And Why It Matters, a #1 Best Seller in Christian Books and eBooks for Easter in 2016, 2017 & 2018. Get This Christian Book From Amazon. Why do you believe? In this short booklet, Haden gives 6 reasons why the Church should invest in apologetics. As young people continue to leave Christianity, will the Church step up? Will we be willing to provide a rational defense for the hope that is in us? Apologetics serves the dual purpose of answering critics and strengthening believers. It can help build stronger churches and lend a hand in stopping so many young Christians from walking away. Learn how you can get involved today! The purpose for B.A.S.I.C.—Basic Steps in Christ—Principles for Christianity is to help someone who recently received Jesus Christ as their personal Lord and Savior and would like to make the right steps and steps that count. There are two analogies when talking about a believer in Christ illustrated by three powerful New Testament people found in the Bible: Jesus, Peter, and Paul. Jesus likened a person who gave their life to Christ or someone who lives for Christ as a baby or as a child who will learn and grow in Christ (see Matthew 18:3). Peter called us to be living stones (see 1 Peter 2:4-5). Paul was concerned about how the foundation was built for new believers and the Church (see 1 Corinthians 3:10). If you know anything about house or building construction, the most important component of the house is the foundation. If the foundation is built properly, the house will stand regardless of what may come. If the foundation is weak or limited, the house or building will fall or be moved (see Matthew 7:26-27). It is important as a Christian, especially when new to the faith, that a proper foundation is established so when issues, temptations, bad doctrines, etc. happen you will continue to stand strong and firm…unmovable.Christian life is not a boring or rigid life. On the contrary, you can learn many powerful things, go places where you never dreamed, meet (and perhaps marry) people you never would have known, and be part of something that has eternal value. However, what does it mean to be a Christian? Is a Christian someone who knows the Bible backwards and forwards? Do I need to go to a church? What is salvation and being “saved”? What is water baptism? What does the call or Call of God mean? This “travel guide” will help you with these questions and more to help build a strong foundation in Christ and His Word. That the man of God may be complete, thoroughly equipped for every good work.—2 Timothy 3:17So let us explore this adventure together on this path of the Christian life. 12 accounts of personal experiences from the world beyond – deceased human beings transmitted their individual story through the deep trance medium Beatrice Brunner. In a vivid manner they describe their initial experiences and encounters in the next world and provide an insight into the meaning of earthly existence and the diversity of the world that awaits us. I AM Not Amused is about learning to balance being in the world, but not of the world. Throughout this book, we will learn how to weigh our involvement in pop culture against our call to be holy, using the popular arts as a springboard to reach lost people in the world. We also gain an understanding of what is at stake if we continue consuming Hollywood productions without thinking about the consequences. This book is a journey through the early days of media including the history of ratings, propaganda, and some of the legal matters impacting the entertainment industry as a whole. Finally we learn about the steps we should take to evaluate our own entertainment. In this fascinating book by Kevin Waldeman, age old mysteries of the Bible are uncovered. Subjects include a deep mystery about women. It also exposes a few false doctrines threatening the safety of the Church of today. There’s also information about the antichrist, the tree of life, and a number of other interesting subjects. Many new revelations from the Bible, including the mystery of the tribe of Benjamin, the Pharaoh Akhenaten from a scriptural perspective, and the future of the world after the Lord returns. Also unveils hidden knowledge connecting the 144,000 with the wall of New Jerusalem, and God’s final mockery of the world. Do you struggle to find the time or inspiration to write motivational speeches to energise your staff, clients, students or parents? Are you after a great motivational speech for your team for the start of the year, or an opening devotional message, or perhaps a graduation speech and you wonder – where do I start? What can I say that will inspire, motivate or help leave a lasting legacy in the minds of staff, parents, students and/or their families? “Easy Speeches: Instant Inspirational Speeches and Motivational Messages for Busy Leaders” by Sharon Kotzur is the perfect answer and has done all the hard work for you. This book will give you an instant solution to present to your staff, clients and colleagues! The content of the book is based on the speeches given by Sharon Kotzur during her 20 years of experience as a School Principal. As a result, each speech is tried and proven and comes with a free downloadable and ready-made PowerPoint presentation and script. This winning combination gives you 3 instant speeches to take and implement with a minimum amount of skill, fuss or preparation. Speeches can be used for a variety of purposes such as graduation addresses, farewell speeches, opening devotions or simply to inspire people to reach a higher level in their job or faith walk. Each speech can be easily modified and adapted to suit the needs of any audience and is suitable for a variety of workplaces such as schools, churches, youth groups and businesses. Buy this book today and be ready to share a message that will inspire, recharge and refocus your audience with positivity and power! ‘Easy Speeches’ has done it all for you and will give you an instant and affordable, tried and proven, winning speech on a variety of topics. Simply take it, tweak it and deliver it – today! The Rapture: this is a topic that has been hotly debated by theologians during the last 2,000 years. Over the last 190 years, a number of Christians have expounded on this subject with more refined details, some theologians coming to a belief in an at-any-minute catching away of the Church while others have taught that the Church must be purified through one last time of great suffering. In recent years, many have scoffed at the idea of a Rapture, some of them saying they have heard all about this for many years. What is the truth concerning the Rapture? In this book, Todd Netland tackles these issues, using the Bible as his guide. He explores the different eschatology viewpoints–pre–Trib rapturism, post–Trib, mid–Trib, pre–Wrath, and Dominion Theology. He explores the strengths and weaknesses of each of these positions, coming to his own conclusion concerning the timing of the Rapture. He delves into a historical evaluation of such notable people as John Nelson Darby, Edward Irving, and Margaret MacDonald. For example, was John Nelson Darby a plagiarist who stole his ideas about the Rapture from Edward Irving and Margaret MacDonald or was he a godly man who got his views concerning the Rapture from painstaking study of the Scriptures? 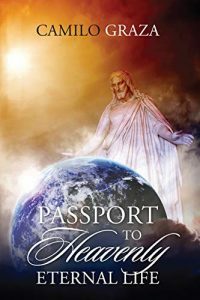 Included in this book are two chapters with fictional short stories centered around the Rapture. Netland feels that the Rapture is an extremely important event that will have a huge effect on the whole world. This book is about the reason for your being here in this life, in this body, in this ‘now’ moment. For the present time is one of a cataclysmic shift in consciousness never seen before in your history on this planet. This shift is one from a sleeping state of humanities mass family consciousness, to one of mass awakening to a higher consciousness; of the connection to the one spirit which permeates and gives life to all creation in your universe. This is a time long prophesised by your ancestors, from a time long passed. One being is awakening in your slumbering human state, towards one of beauty and clarity, of who you all truly are! Who you are is pristine, perfect consciousness, never tainted by anything, which you, or your ancestors have ever said or done in this lifetime and those long preceding this one in which you now find yourselves. This state of awakening and clarity was always predestined to occur in humanities history. Do you ever wish you could ﬁnally dig deep in your bible without beingan expert in Greek and Hebrew?Now you have no excuse the newest Bible resource by Rev BradfordHoel delivers the deep gems of scripture in a way the average believercan understand!You can use this resource in many ways!1.The complete Biblical Discipleship Resource 2.Deep and complete understanding of Rock solid Biblical Theology andHermeneutics.3.Rich and thought ﬁlled bible study Questions after every chapter.4. Historical and cultural Analysis 5. Many Greek and Hebrew word studies -for a limited time free access to video introductions Perfect for Bible study groups!